Bagaimana menghubungkan Android ke OzekiPhone ? Integrasikan helpdesk dengan aplikasi web Anda. 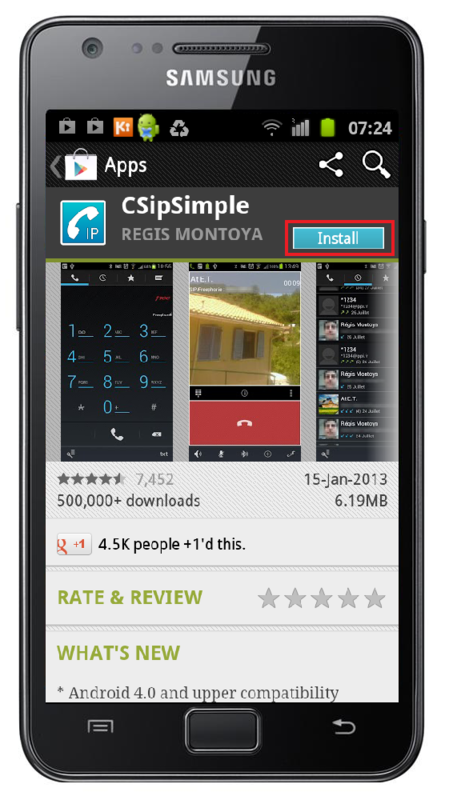 Use your smartphone as a mobile SIP extension by using CSIPSimple application. For this purpose, you need to install the CSipSimple application on your Android Mobile Phone and an Ozeki Phone System XE on your Windows PC. This guide describes what else you need and how you should configure your mobile in order to turn your smartphone into a full-featured extension of your VoIP network. After launching the software, the login panel will automatically appear on the WebGUI. Now, it is time tologin by giving your username and password (Figure 1). If you have specified the appropriate user data, you need to click on the Install new button in the top right-hand corner of the greenish yellow Extensions panel (Figure 2). The "Extensions" panel will appear. Look for the "SIP extension" line in the Standard Extensions column then click on the Install button (Figure 3). Now, a Configuration form can be seen, where you can specify the SIP account details to use for this extension: the Extension phone number (optional), the Authentication name (obligatory) and the password (obligatory) (Figure 4). Click on "OK" button. Having done these steps, you need to connect your Android Mobile Phone to your telecommunication system. Now, you need to provide the user data that you defined earlier in the Ozeki Phone System XE WebGUI (see Figure 4). 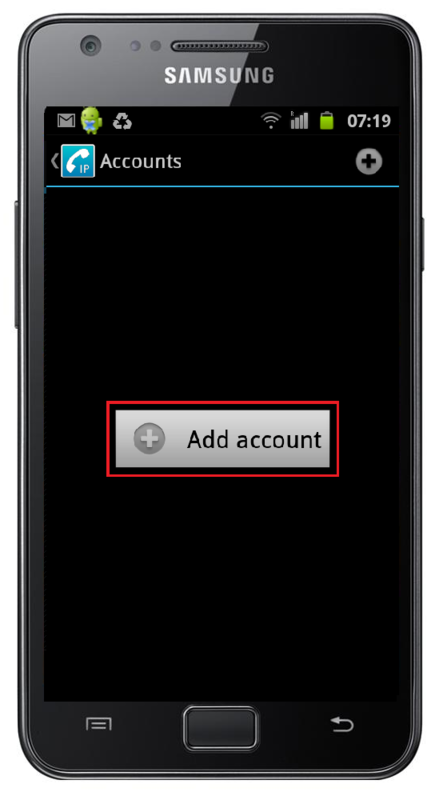 First, click on "Account name" and specify the name of your account (Figure 8). 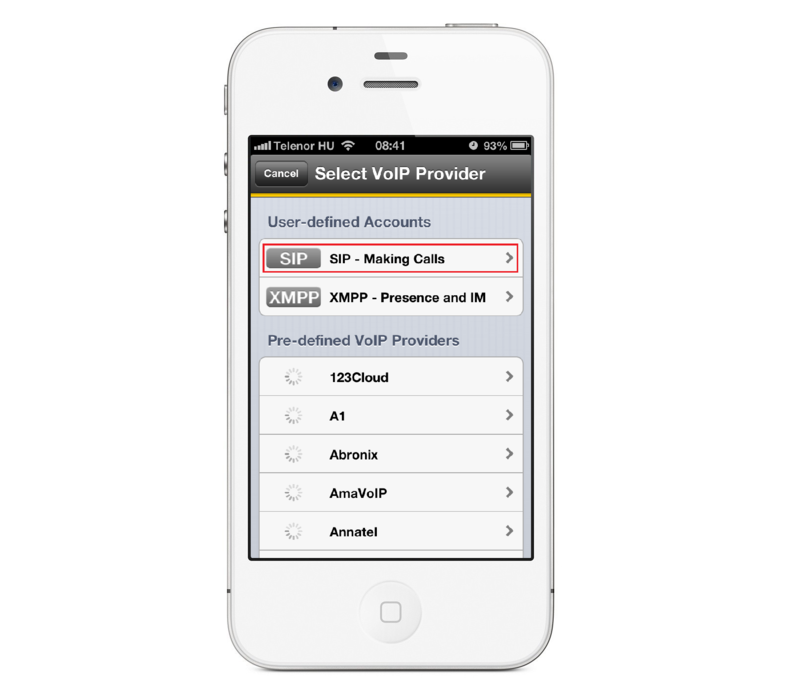 After dialing this can be seen, when you have to choose where the call should be initiated: Mobile or VoIP. After it is done, click on "OK" button. Similarly, click on "User" and enter the phone number of the new extension. Your mobile phone will be available on this telephone number. Click on "OK" button. 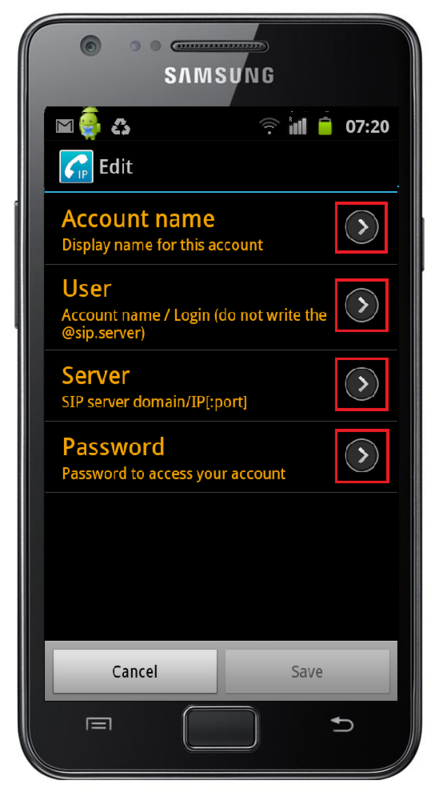 After that, select "Server" and type the IP address of your Ozeki Phone System XE then click on "OK". Finally, choose "Password" menu item and enter the password of the extension. Click on "OK" button. Save your configuration by clicking on "Save" button. After providing proper user data, your new account will be like a Registered account. It shows thatyour mobile phone is ready to use. Click on "Accounts" in the top left-hand of the screen and thekeypad will appear (Figure 9). In order to make a call, enter a phone number (the number of the extension you would call) by using the keypad. Click on the telephone icon to initiate the call. On Figure 10 you can see that our sample extension (1002) called an other SIP extension (1004) and the last picture shows an incoming call as well, from the other extension (1004). The guide above presented how to connect your Android Mobile (smartphone and tablet as well) to the Ozeki Phone System XE. If you follow these steps you will be able to install and configure the CSipSimple application and to use your Android Mobile as a full-featured mobile extension of your communication system. Bagaimana menghubungkan iPhone Anda dgn OzekiPhone? 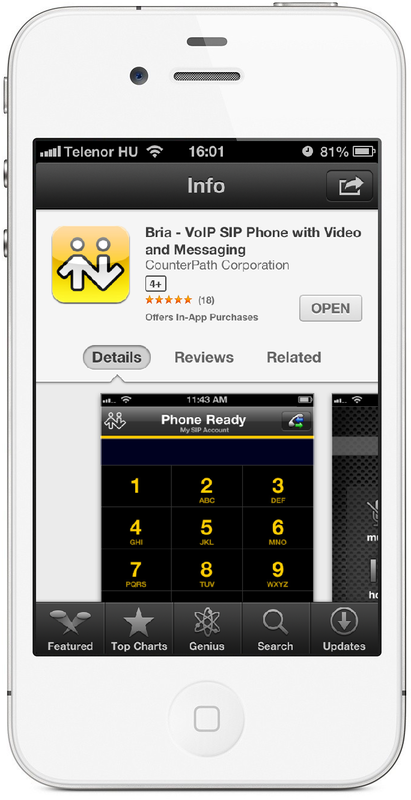 Turn your iPhone Mobile into a full-featured mobile SIP extension with Bria iPhone or iPad Edition. To achieve this, you need to install the Bria application on your iPhone Mobile Phone and an Ozeki Phone System XE on your Windows PC. This step-by-step guide explains you what you should do in order to use your cell phone similarly to a conventional desktop phone extension of your communication network. Firstly, you need to install the Ozeki Phone System XE. After you have downloaded the software, reading the Quick Start Guide is recommended in order to get some useful instructions about how to setup the Ozeki Phone System XE on your Windows PC. When your PBX is installed, start the software by clicking on its desktop icon. After launching the software, the login window can be seen on the WebGUI. First of all, you need to login by providing your username and password (Figure 1). If you have given your login information and clicked the “Login” button, the home screen will appear. On the right side of the screen, in the top right-hand corner of the “Extensions panel”, you need to click on “Install new” button (Figure 2). Thereafter, the "Extensions" panel appears. 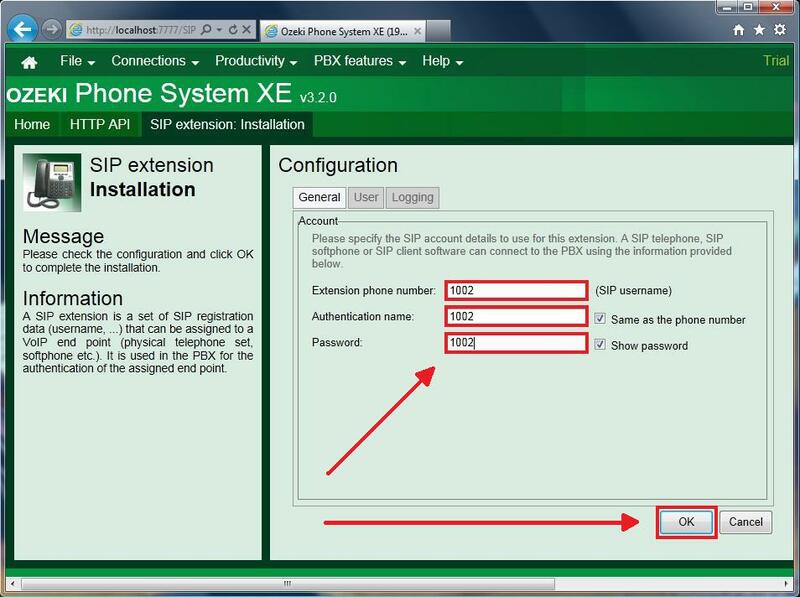 Within the “Standard Extensions” look for the "SIP extension" line and click on the “Install” button (Figure 3). In the next screen the Configuration panel can be seen. Here you need to specify the SIP account detailsto use for this extension: the Extension phone number (optional, i.e. you can accept the offered number or enter another one), the Authentication name (obligatory) and the Password (obligatory) (Figure 4). Now, it is time to connect your iPhone Mobile to your telecommunication system. For this purpose, you need an application that can be used to turn your phone into a mobile extension. According to personal experience, Bria softphone is great for iPhone users. Now, you need to specify the user details that you defined earlier in the Ozeki Phone System XE WebGUI (see Figure 4). Firstly, click on "Display as" and specify a unique user name that will be shown on your contact list. It is an optional setting. If you do not enter a unique name, the number of the mobile extension will be shown by default (Figure 8). Similarly, click on "Username" and enter the phone number of the new extension. Your mobile phone will be available on this telephone number. After that, click on "Password" menu item and enter the password of the extension. 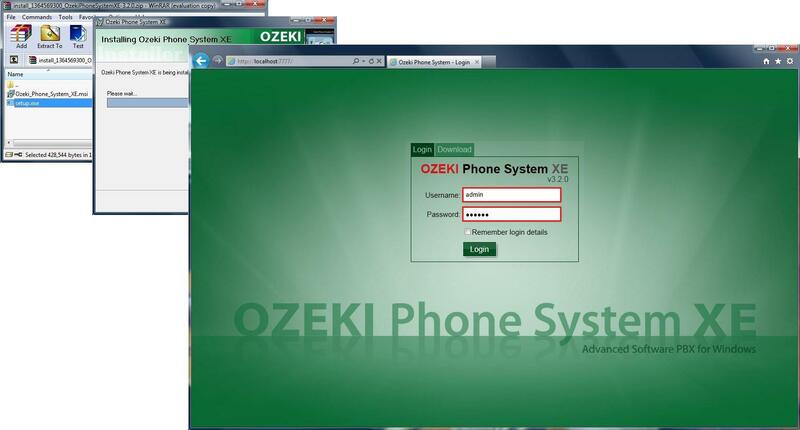 Finally, click on "Domain" and provide the IP address of your Ozeki Phone System XE. Turn your account status into "Registered" by dragging the circular button to the right in the buttom right-hand corner of the screen in the "Enable" line. This action will automatically register your account. In the top of the screen the "Registered" caption shows that your account is enabled. Save your configuration by clicking on "Save" button in the top right-hand of the screen (Figure 7). After providing user details, your new account appears within "Enabled" accounts. It means thatyour mobile phone is ready to use. Click on the telephone icon in the bottom left-hand of the screen and the keypad will appear (Figure 9). In order to make a call, enter a phone number (the number of the extension you would call) by using the keypad. Click on "Call" button to initiate the call. On Figure 10 you can see that our sample extension (1004) called an other SIP extension (1002) and the last picture shows an incoming call as well, from the other extension (1002). This guide provided detailed information about how to connect your iPhone Mobile to the Ozeki Phone System XE. By following these instructions you will be able to install and configure the Bria application and to use your iPhone Mobile as a full-featured mobile extension of your VoIP system. Bagaimana menghubungkan Desktop VoipPhone Anda ke OZEKIPhone? 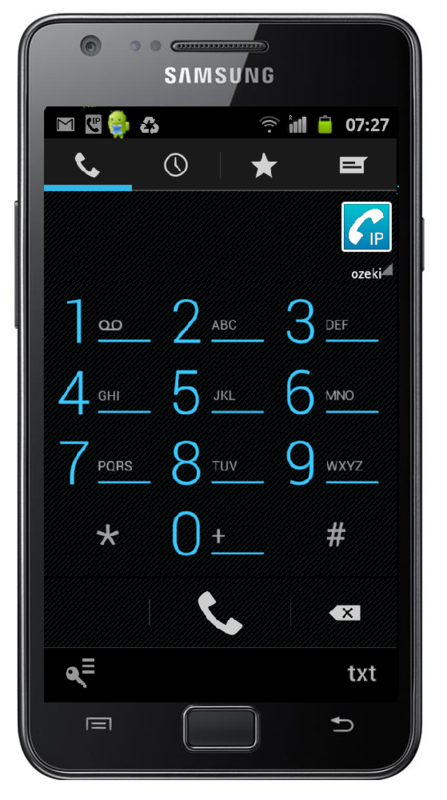 First and foremost, you need to install the Ozeki Phone System XE. (If you need assistance in connection with the download process, installation and product activation, please visit the following page: Quick Start Guide. Here you can find a detailed step-by-step installation guide about the first steps.) After installation you need to launch the software. After starting the software, the login screen will appear automatically on the WebGUI. In order to login you need to enter your username and password then click on the 'Login' button (Figure 1). When you have provided your login details, you need to click on 'Install new' button in the top right-hand corner of the greenish yellow 'Extensions panel' (Figure 2). Now, the "Extensions" panel can be seen. Look for the "SIP extension" line in the Standard Extensions column then click on the 'Install' button (Figure 3). Clicking on that button, a Configuration will appear, where you can specify the SIP account details to use for this extension: Extension phone number (optional), Authentication name (obligatory) and password (obligatory) (Figure 4). After providing this data, click on "OK" button. After you have connected your phone to the VoIP network with the proper cables, the system will assign an individual IP address to the phone by using DHCP. 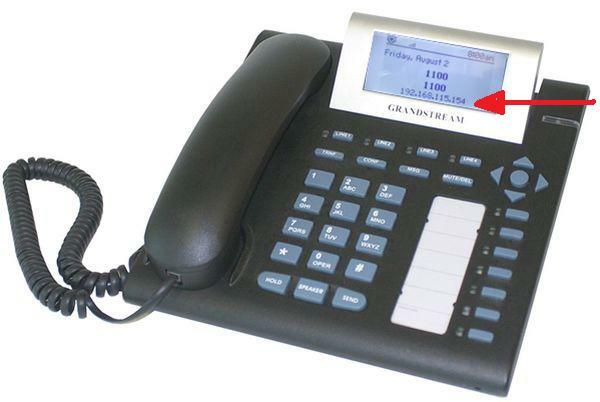 If you use a Grandstream GXP2000 desktop VoIP phone, the IP address can be easily read at the display of the device (Figure 5). If you use another type of desktop phone, you may find it in the menu system of the telephone. Now return to the Ozeki Phone System XE and click on the Log button. The 'Registration accepted' message will appear, if your configuration was successful (Figure 6). In order to make a call, dial the phone number of your new extension by using an other extension of your VoIP network. (In our example the No. 1200 extension dialled the new No. 1100 Desktop VoIP Phone extension.) Figure 7 shows that the whole call process can be tracked in the Log panel of your extension. 'Incoming call received' message indicates that an incoming call is in progress. 'Call established' message shows that the incoming call has been answered. After finishing the call, the 'Call completed' message will appear. Bagaimana menghubungkan OzekiPhone ke jaringan telepon Anda? Trick #1 - It is a good practice to use VoIP phones provided by the same manufacturer. VoIP phones provided by the same manufacturer use the same voice encoding techniques (codecs). This enables them to talk directly with each other, and in this case the PBX can take part in call setup only. If two phones do not have the same encoding procedures (codecs) the voice will go through the PBX and the PBX will be responsible for talking with each device and forwarding the voice traffic between them. This is called codec translation and it wastes a lot of PBX resources. Trick #2 - For cordless phones a DECT handset connected to a VoIP enabled DECT base station is a better option then a Wifi VoIP handset that connects to the PBX through the LAN. DECT is designed for voice communication, wifi is not designed for it. DECT will give better coverage and better sound quality. Trick #3 - For local calls it is better to connect to a standard analog or ISDN line provided by the local phone company with an ATA device, then to make calls through a VoIP service provider. It does not make sense to forward all voice traffic to a remote VoIP service through the Internet, to have the VoIP service make the call through the PSTN to the local number. free of charge connectivity between the offices, and they operate a reliable, easy to access infrastracture. Direct tunneling might run into problems caused by dynamic IP addresses and firewall protected office networks. Trick #5 - If there are many outbound calls to make, for example in a marketing campaign, it is best to setup a dialler software, that will make the calls and decide if they are answered by humans. If the dialer software finds that the call was accepted by a human, it then brings in an employee to talk with him or her. Such a dialler software can save a lot of time, since most calls in a campaign are picked up by answering machines, fax machines or often there is nobody to answer the call. Dialer softwares that can be used are called autodialers or predictive dialers. Trick #6 - When choosing a VoIP service provider make sure to select one, that provides local telephone numbers with the same area code you are in. This indicates that they have a service point close to you, which increases the probability of better service and sound quality for your area. Trick #7 - By putting a simple "request callback" form on a website the number of people calling in can be increased greatly. Many people don't like to pick up their handset to dial a phone. It is easier for them to enter their phone number on a website, when they are browsing the web. This way the cost of telephone call will also not prevent them from getting in touch with a business. Trick #8 - Most office users are not familiar with phone system related terms. By educating them what is call waiting, how to use a conference call, what is follow me, do not disturb, call queue and other simple VoIP services, it is possible to improve overall productivity. Trick #9 - Software PBX systems can be backed up and restored very easily using traditional software backup techniques. You can save the configuration files, logs, recordings and any user related data. This is very useful, if new hardware needs to be put in place for greater performance, or if the system must be recovered after hardware failure or natural disaster. Trick #10 - Software PBX systems can be installed on virtual machines. VmWare, Linux kvm, Microsoft Virtual PC or any other virtualisation solution is suitable for running the PBX in a virtualised environment. Virtualisation is very beneficial in long term maintenance and management. It is also one of the tools used by virtual PBX service providers to maintain their infrastructure. 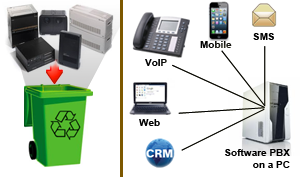 Introduction to PBX technology in 2013. Layanan WebPhone memudahkan anda dikontak dari web. 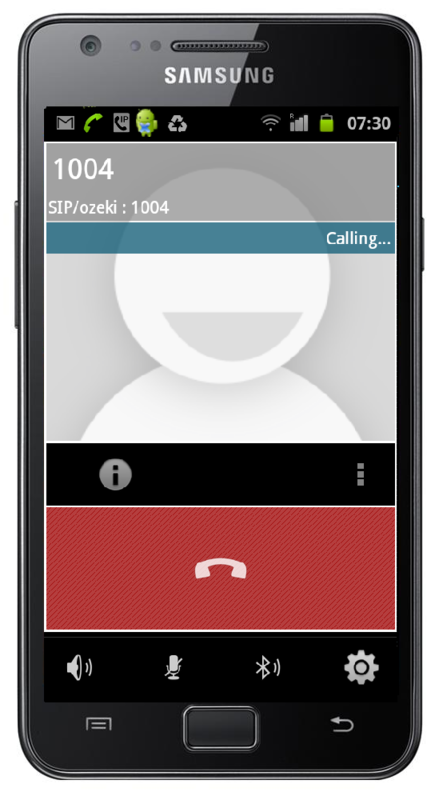 The Ozeki Phone System XE has a built in webphone service. It allows you to add a live chat window to your website. This chat window allows the website visitor to initiate chat, voice and video calls to your office. The website visitor does not have to install any software. As soon as he opens the webpage, he can make a call free of charge to the operator, by simply clicking a button. The website visitor can use his microphone and speaker attached to his PC to make the call. Calls coming from the website can be routed to any VoIP endpoint. They can be sent to an IVR, to a desktop voip phone or to a mobile VoIP handset. This is a truly revolutionary technology. 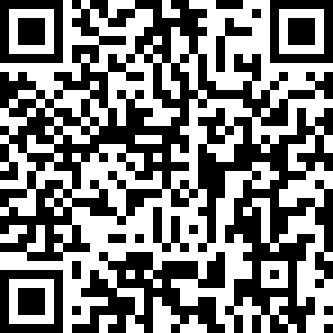 Try it yourself, bydownloading and installing Ozeki Phone System XE. Minggu ini kembali kami mengerjakan ruang server, khususnya terkait raised floor dan AC Split yang dipasang. Jadi ingin sharing terkait dengan AC. The Ozeki Phone System XE outstandingly makes it possible to send and receive SMS messages besides VoIP calls and services. The two most common ways to send out a large amount of SMS messages are using a GSM modem or using an SMPP server even through your Android Mobile. 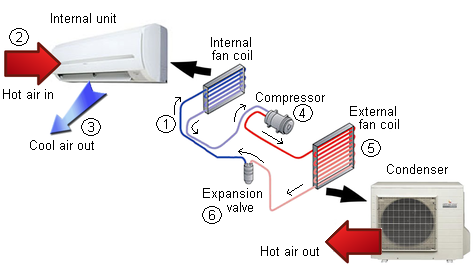 You can learn more about these options in the following articles in more detail. The Ozeki Phone System XE has built in support for two way SMS text messaging. For sending and receiving SMS messages using the Ozeki Phone System XE you can setup an SMPP (Short Message Peer-to-Peer) IP SMS connection or a GSM modem connection or you can install the Ozeki Android SMPP SMS Gateway mobile application for making your smartphone an SMPP server. The following guides are intended to be really useful setup instructions in order to help you send SMS messages in the most effective way. You can send and receive SMS messages to mobile phones through a wireless connection by attaching a GSM phone or GSM modem to your PBX computer with a data cable. A GSM modem works like a mobile phone with a SIM card. It can be used to send a lot of SMS messages without an Internet connection. "...an enlightening article for anyone interested in using VoIP in their Office in 2013." Phone systems in 2013 are much different from phone systems we used a few years ago. Back then phone systems were about VoIP technology, cheap calls and about using the Internet to connect offices free of charge. Phone systems in 2013 have changed. Now they are about advanced telecommunication capabilities. They offer very exciting advanced features. My favourites are the possiblity of connecting mobile phones to the office with smartphone apps, SMS messaging and website integration. Website integration is a fantastic feature, because it makes it possible for live chat sessions and phone calls to come in directly from webpages into the PBX. Another trend in 2013 is that phone systems are connected to IT systems, such as CRM, helpdesk administration and marketing systems. Let's take a look at how you can build your own advanced phone system. 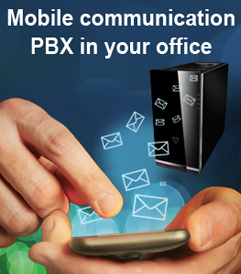 In 2013 a PBX is a standard PC with Windows or Linux and with a PBX software installed on it. It is connected to the Ethernet LAN of your office. The PBX software installed on this (server) PC is an application, that controls telephone sets on the network. This software is capable of ringing desktop phones, mobile phones, it can send and receive SMS messages and can manage communication components of webpages. The most popular PBX software for Linux is Asterisk, for Windows it is Ozeki Phone System XE. POE is needed to eliminate separate power adapters for each phone to save energy and to reduce points of failure. In 2013 there is no question, that SIP 2.0 is the dominant open standard for VoIP phones. Other VoIP standards, such as H323, Cisco SCCP, etc are out of date. Two ethernet ports are neccessary because most office desks have only one ethernet cable in place. Two ethernet ports make it possible to share the Ethernet endpoint between the VoIP phone and the PC. There are many good manufacturers, who provide reliable VoIP telephone sets that meet these requirements. To name a few: Grandstream, Linksys (now Cisco), Yealink, SNOM, AAstra. Connecting mobile devices to a PBX is a need in every organisation. It became one of the most important requirement in 2013. There are 2 major ways to connect mobile phones to a PBX. The first one is adding a so called "mobile extensions". Adding a mobile extension is simply a practice of assigning a short local extension number to a long PSTN mobile number. When a call is directed to this short number the PBX simply calls the mobile phone through an outside line and basically redirects the call. Although this might sound simple it still has many use and is a very powerful feature. If a mobile phone can ring together with several office phones, or if calls coming in to an office land line can be picked up by mobile users, the PBX provides great business advantages. Mobile extensions are also great to separate business telephone numbers from private mobile numbers without the need of carrying two mobile handsets. SMS has been around for a few years now, just as VoIP. What is changing in 2013 is that SMS is put into business use at an increasing pace. More and more companies equip their PBX systems with SMS capabilities to reach customers, suppliers and employees. The simple reason for this is that SMS messages can be sent automatically, they can be received and processed automatically, the information in them is accurate and SMS is a fantastic tool for automating business procedures. All mobile phones support SMS messaging. Webphone technology is the trend in 2013. Every other company on the web is adding live chat service to their websites. Many companies also add click to call services and callback request forms. Webphones now also make it possible to make voice and video calls directly from a webbrowser.